I’ve been so busy posting about Easter and all that fun, I almost forgot that St. Patrick’s Day is almost here. 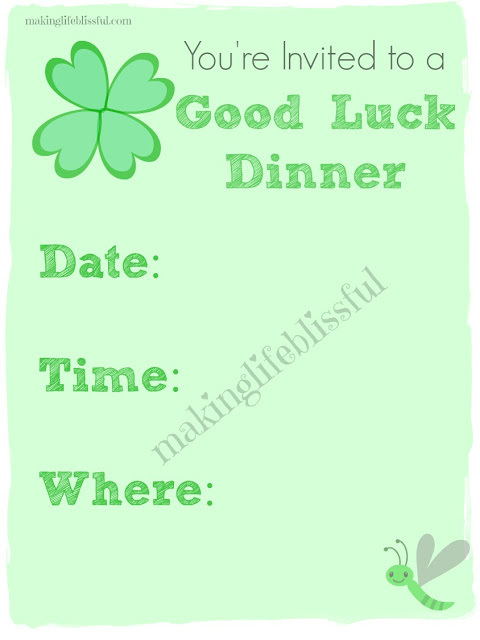 I have a super easy Good Luck St. Patty’s Day Dinner for your family to enjoy together. 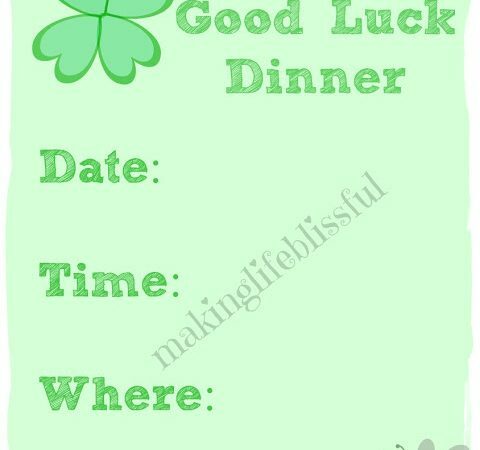 It comes with some free printables, so I hope you enjoy this silly way to have dinner with your kids on March 17th. 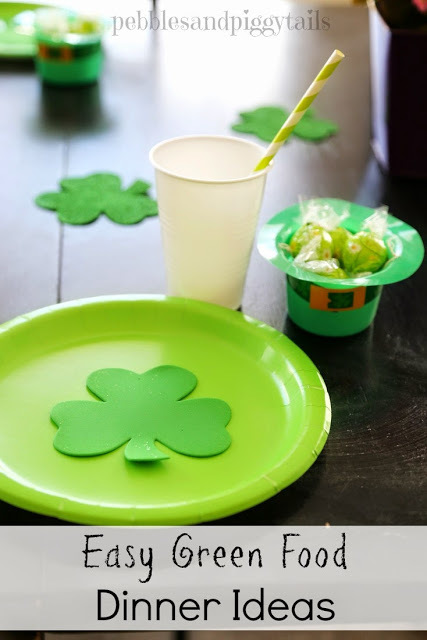 You could make it a dinner of all green foods for St. Patrick’s Day OR just play it with whatever you already have planned for dinner. To make it even more eventful, use my free printable invite to help your kids get excited about it. Print the game. 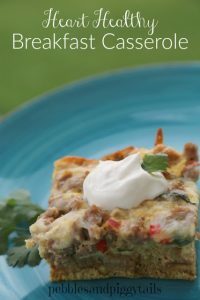 Assign the foods you are having for dinner to one of the numbers on the game. Write it next to the number if desired. Get a number die or a spinner. Decide how many times each person gets to roll or spin. 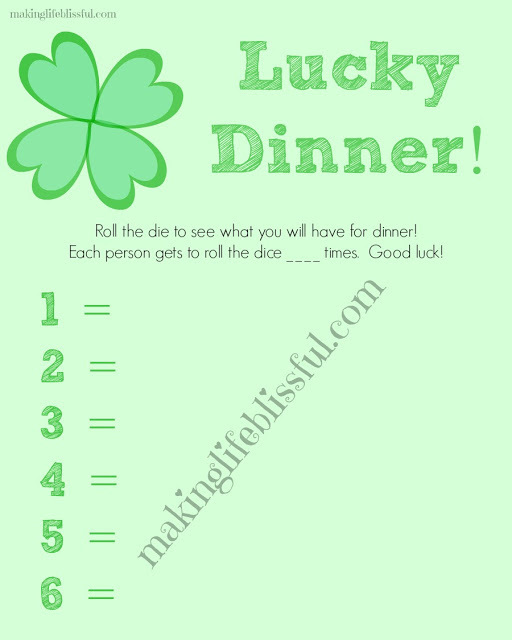 Have kids roll or spin to see what numbers they get. These numbers indicate what they will get to put on their plate for dinner. It’s fun to see what you get to have for dinner by chance and luck. 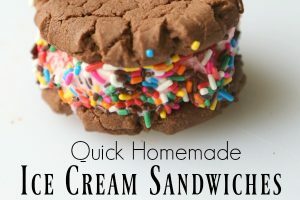 Of course, you can change this up however you want, and let kids have seconds and try some of the foods they did not get. Make sure to have a variety of foods that are well-liked by your family for this dinner, so everyone has a choice of many favorites. 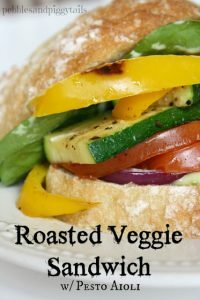 You may want to use all green foods. Check out our big list of GREEN FOOD IDEAS for St. Patrick’s Day. Happy St. Patty’s Day! Don’t get pinched!